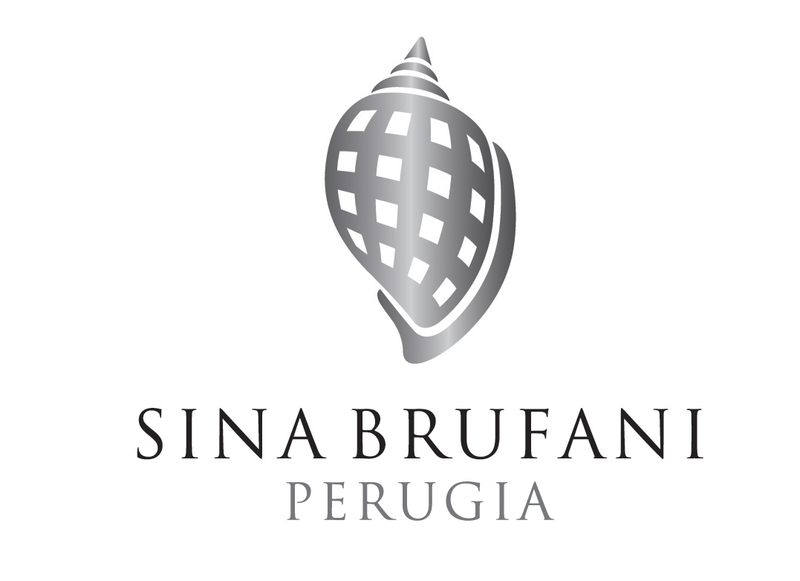 The history of the SINA Brufani dates back to 1884, the year in which Giacomo Brufani opened a high class hotel, distinguished by the level of services it offered. Born in Assisi, Giacomo Brufani was a businessman, an entrepreneur who began work as a tourist guide for visitors to the city, taking them aboard a stagecoach to see the marvels of ancient Perugia and the neighbouring towns of Assisi and Gubbio. During his trips to England he became fluent in English and fell in love with an English lady named Elizabeth Collins. 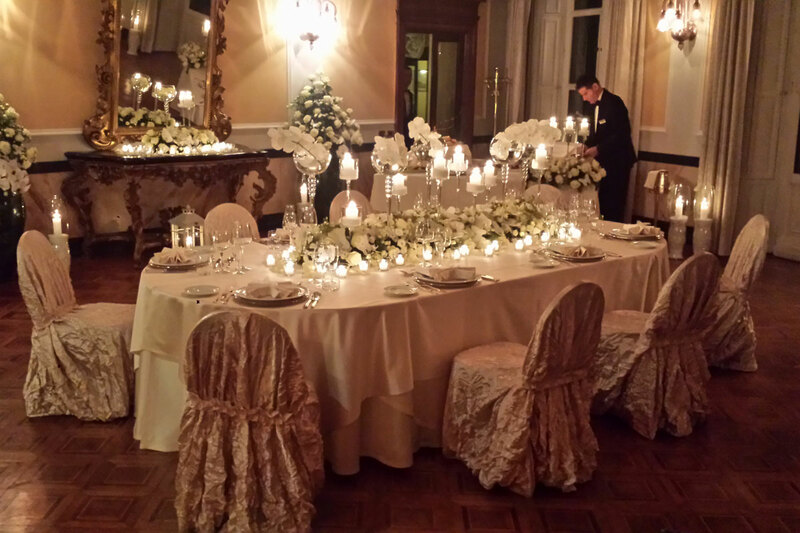 As a married couple they managed the SINA Brufani together, which over the years came to be considered one of the best hotels in the area, thanks to its warm hospitality excellent service. 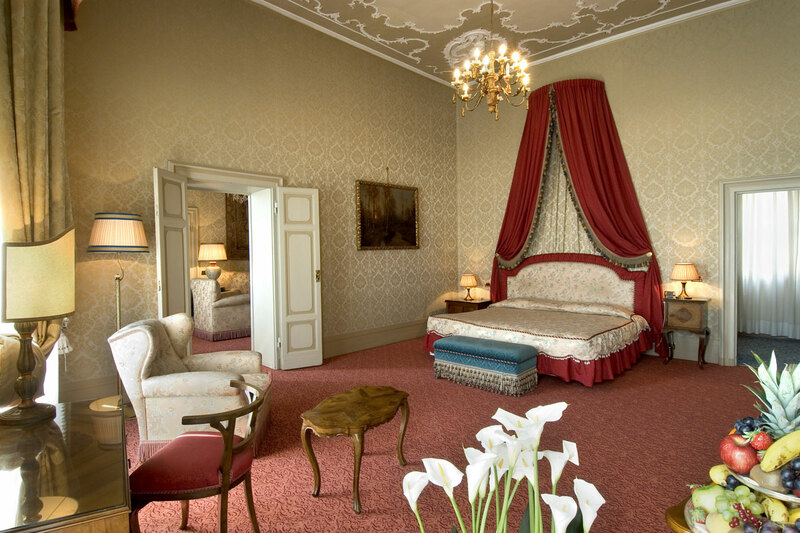 Many important politicians, nobles and artists have stayed at the SINA Brufani, lending it the allure that it still enjoys today. Giacomo Brufani and Elizabeth Collins had no children and the hotel passed to the ownership of his English relatives. 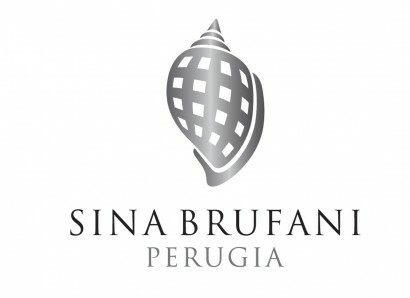 Since 1986 the SINA Brufani has been part of the S.I.N.A. 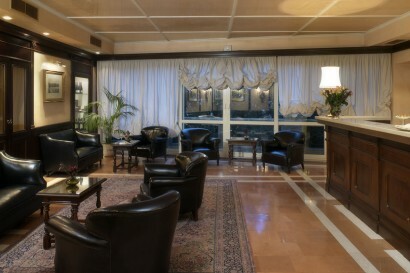 hotel chain, which boasts years of tradition, hospitality, elegance and excellent service. In the swimming pool, under the Medieval vaults of the ancient Rocca Paolina fortress, the glass bottom of the pool reveals the Etruscan ruins brought to light during the restoration of the building. 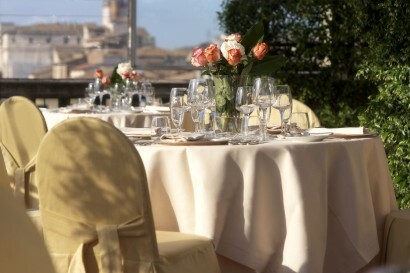 Nowadays it is the only 5 stars deluxe hotel of the Umbria Region, located on the highest hilltop in the heart of the ancient city centre of Perugia. From the panoramic terrace located on the third floor of the building, the eye embraces the entire city and the valley of Umbria which lead to the nearby charming little towns of Spello, Assisi, Gubbio, Todi, Orvieto. 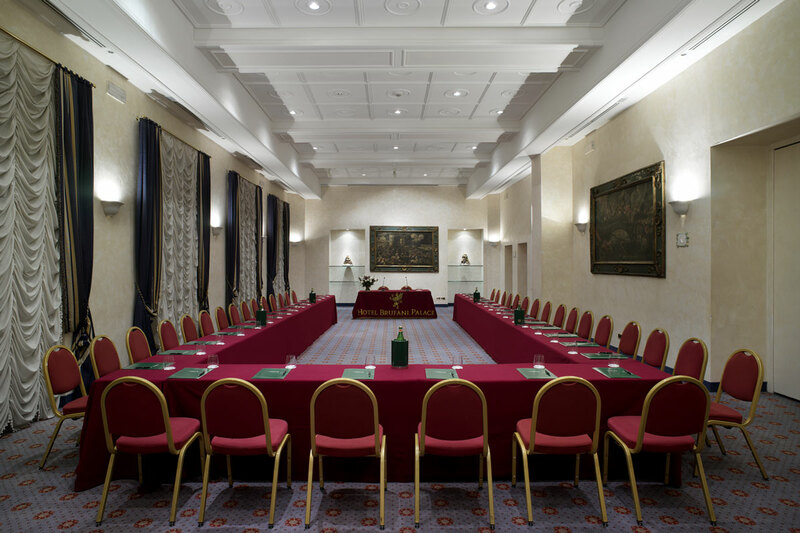 Our hotel is located just at the very beginning of Perugia city center; during your stay with us you may forget your car and reach all local attractions walking along the alleys and the narrow streets of the historical city center. All is walking distance: The National Gallery Museum, San Lorenzo Cathedral, the Etruscan Well, Fontana Maggiore (Fountain), Palazzo dei Priori, Rocca Paolina, the Etruscan Arch, as well as the shopping district and all restaurants and lounge bar. 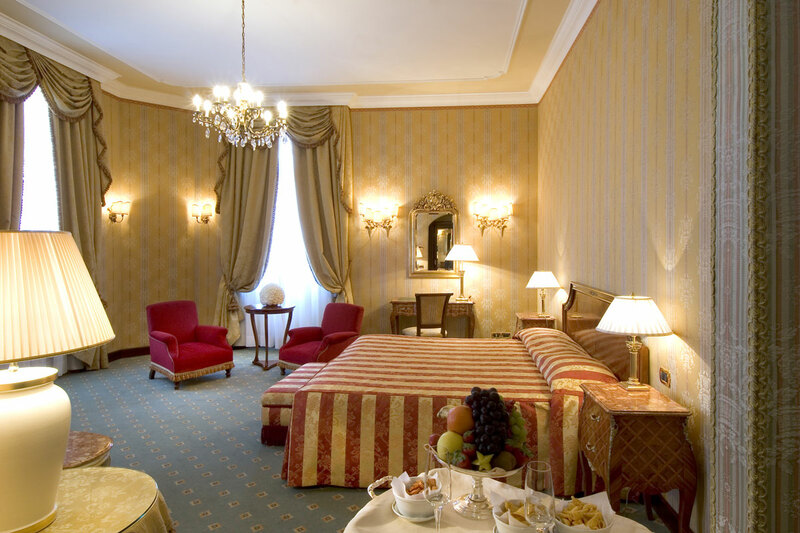 • Junior Suite with king bed or two twin beds. 47 sqm – 508 sqft (average size). Suite with king bed or two twin beds on request. 58 sqm – 626 sqft (average size). Offer either views of the neighbouring streets or surrounding residential buildings or of the Umbrian valley. These unique and spacious junior suites offer space for work, leisure or entertaining. A few of the rooms also offer balcony. Bedroom and living area are integrated in the Junior Suites, while are separated area by a solid wood door in the Suites. • Royal Suite with king bed or two twin beds. 80 sqm – 865 sqft (average size). 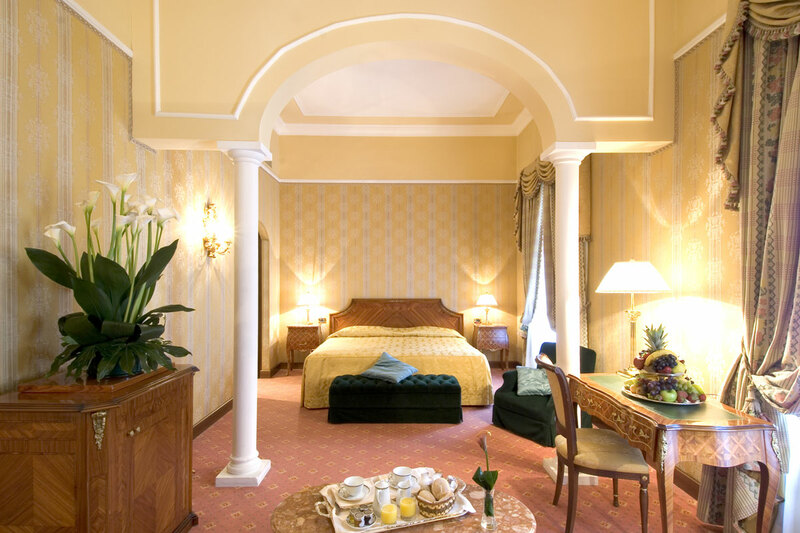 All SINA Brufani Royal Suites offer enchanting view of the Umbrian valley. Antique furniture, lavishly decorated, fine quality linens and drapes, silk fabric covered walls. 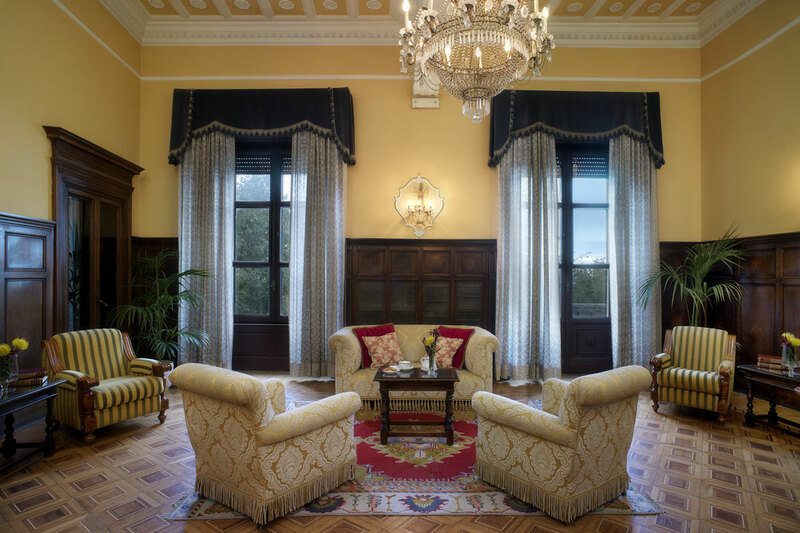 Frescoed high ceilings, crystal chandeliers. The living room offers a large desk and sitting area with sofa and armchairs. All the Royal Suites have a special feature that differentiates it from the others: large terrace, painted ceiling. • Classic room with queen bed or two twin beds on request. 25 sqm – 270 sqft (average size). Superior room with queen bed or two twin beds on request. 30 sqm – 324 sqft (average size). Deluxe room with king bed or two twin beds on request. 41 sqm – 443 sqft (average size). 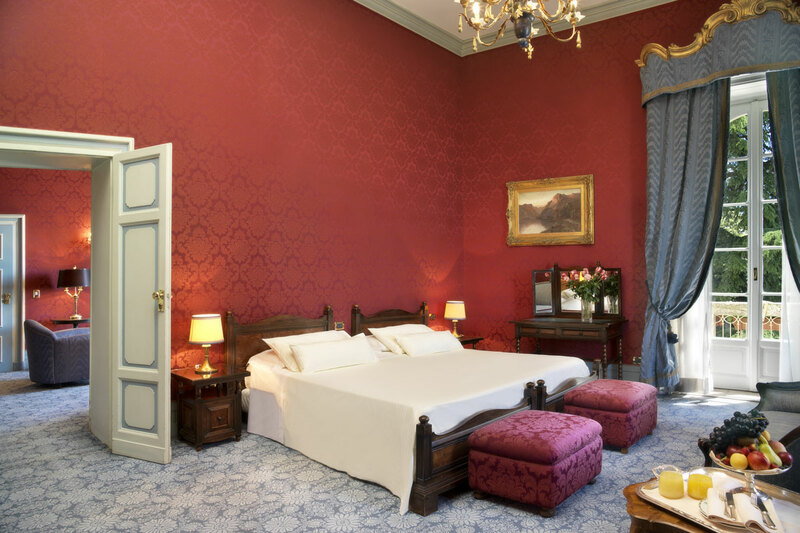 These rooms overlook either the internal courtyard of the palazzo or the valley or the historical city center and residences. The comfortable Collins Restaurant is renowned for its refined ambience, the excellence of its cuisine and the many Umbrian specialities on the menu. Here guests can taste a rich offer of traditional Umbrian recipes overhauled with creativity and innovation and combined with excellent wines from a well studied cellar. 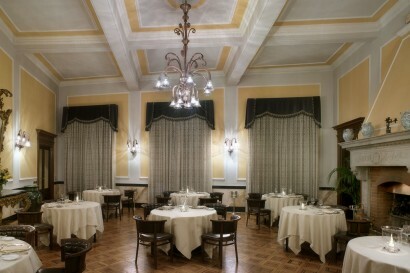 The Collins is not only a restaurant, but principally a place of great atmosphere. During the warmer months it is possible to dine on the terrace located on the third floor, with its splendid views over the Umbrian countryside. The typically English-style American Bar is a cozy corner in which to enjoy a cocktail, and the outdoor area is one of Perugia’s most fashionable and popular haunts. 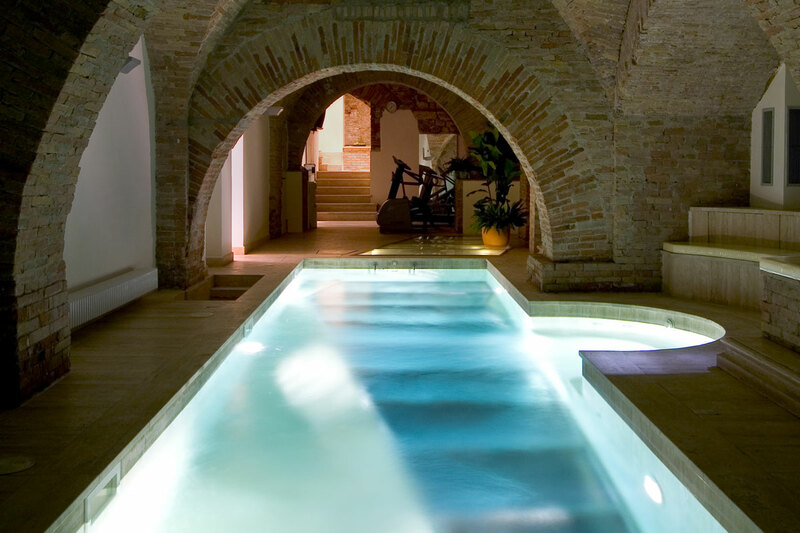 During your stay at the SINA Brufani, a visit to the Sina Fitness Club is a must: the hotel’s Fitness Centre is built under the Medieval vaults of the ancient Rocca Paolina fortress, therefore the hotel’s history starts from the enchanting swimming pool. A swim in the pool with its glass bottom, through which you can see the ancient Etruscan ruins, is an unforgettable and unique experience. With its heated water and whirlpool, the swimming pool is the ideal combination of wellness and relax. 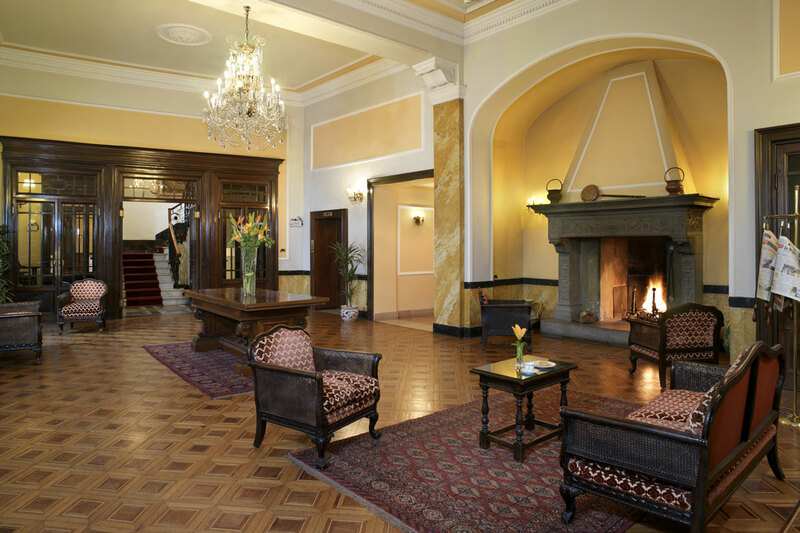 The hotel’s Fitness Centre offers a fully equipped gym, sauna and steam bath which create an impressive atmosphere where the wellness is melted with history. The relaxing area allows guests to regenerate soul, mind and body; aesthetic treatments and massages are executed with soft music and aroma directly in guests’ room, totally respecting the ancient oriental holistic discipline. • The hotel disposes of 4 fully equipped Meeting Rooms (Raffaello, Pisani, Oderisi and Pinturicchio) all located at the ground floor with natural light, with a capacity up to 150 people. • The banqueting halls (Maggiore, Del Cambio, Notari and Priori) at ground floor in a classic and decorated environment, provided with natural light and a capacity up to 150 people. Are ideal for banquets and cocktails.